Workshop will bring together experts from industry and academia to discuss challenges to the development of gas turbine technology. City University London will host the European Turbine Network (ETN) Workshop on the 9th and 10th of October. Based in Brussels, the ETN is a non-profit association which consolidates the entire value chain of Europe's gas turbine technology community. The organisation facilitates gas turbine research and technology development, promoting environmentally friendly, stationary gas turbine technology, with reliable and low-cost operation. The Workshop will provide a forum for various ETN project leaders to report on the progress of their on-going projects and initiatives since the annual ETN General Meeting and Workshop held this April. 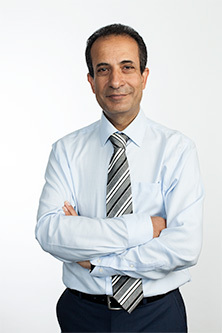 City's Professor Abdulnaser Sayma, Professor of Energy Engineering, is an active member of the ETN Project Board and is chairman of the ETN's Operational Flexibility Technical Committee. He says the ETN Workshop "brings together experts from industry and academia to discuss future developments in the field of gas turbines for power generation. It provides a very effective networking platform for its participants." "Fifteen experts from industry and academia who are members of the ETN Board and Project Board will be meeting the IEA delegation. The impact of gas turbines on the future power generation mix will be debated and we hope to provide the IEA with expert views for the World Energy Outlook 2014."